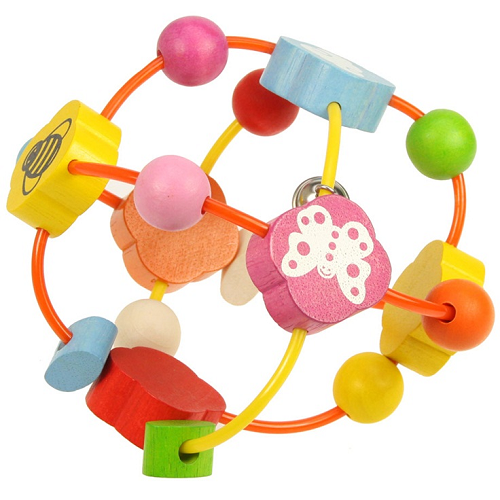 Made from high quality, responsibly sourced materials, the Bigjigs Wooden Activity Ball is easy to grasp and full of colours, shapes, sounds and movement! This flexible, lightweight wooden toy helps develop hand/eye co-ordination and will captivate little ones from an early age. 1 x Bigjigs Wooden Activity Ball. Made from sustainable wood and finished with child friendly paint.